Krystle D. Berkstresser practices general civil litigation, with an emphasis in personal injury and insurance defense. 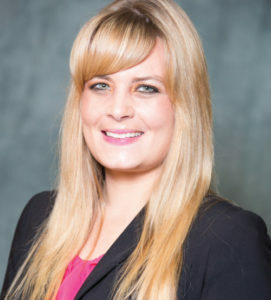 Prior to joining Daley & Heft, Ms. Berkstresser worked at an insurance defense firm where she litigated a broad range of cases, including personal injury, premises liability, elder abuse, defamation, dog bites, and products liability. She also gained extensive experience in law and motion practice, depositions, mediation, and trial preparation. While attending the University of San Diego, School of Law, Ms, Berkstresser served as the Managing Editor for the San Diego International Law Journal. She also clerked for a medical malpractice firm. Prior to attending law school, Ms. Berkstresser received her Bachelor of Arts degree from University of California, Davis, where she participated in the Davis Honors Challenge.